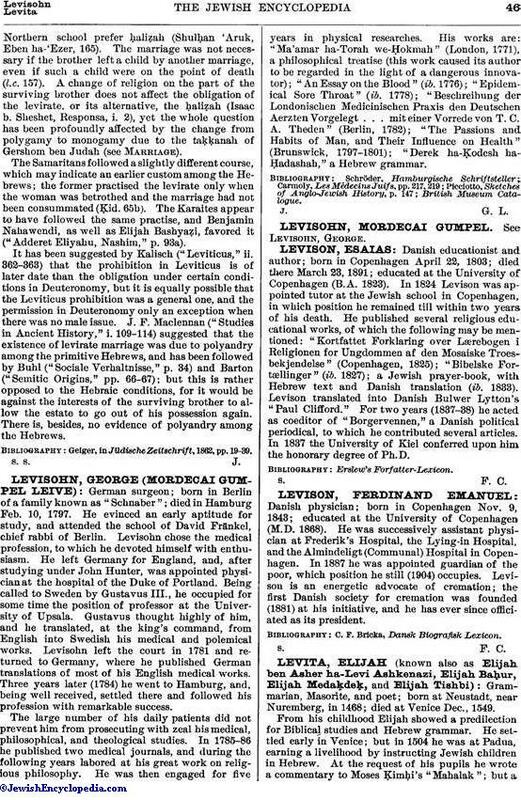 Danish physician; born in Copenhagen Nov. 9, 1843; educated at the University of Copenhagen (M.D. 1868). He was successively assistant physician at Frederik's Hospital, the Lying-in Hospital, and the Almindeligt (Communal) Hospital in Copenhagen. In 1887 he was appointed guardian of the poor, which position he still (1904) occupies. Levison is an energetic advocate of cremation; the first Danish society for cremation was founded (1881) at his initiative, and he has ever since officiated as its president.